Its decision time: are you motivated to run a marathon? Home » In the Media » Its decision time: are you motivated to run a marathon? If you are prepared to prioritise your running for the next 17 weeks you will be able to smile at the finish line. 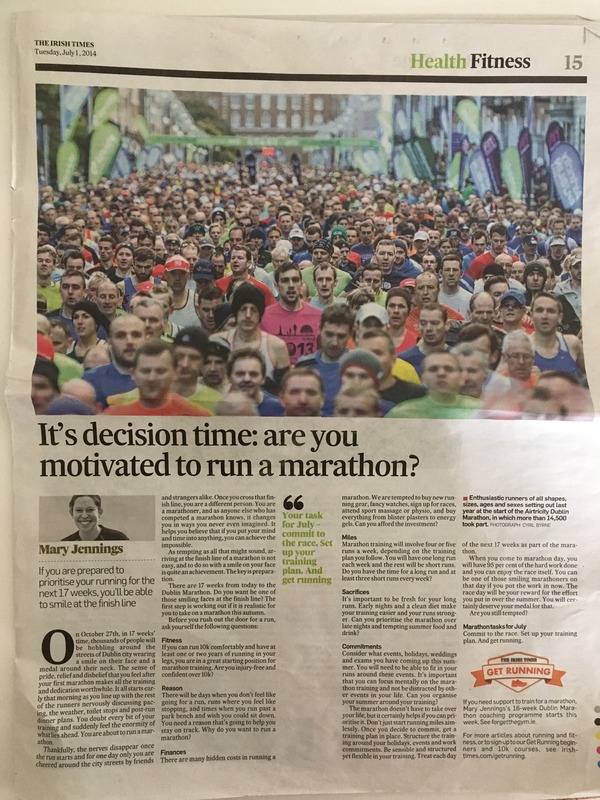 In this article Mary talks about the best way to come to the decision of running the Marathon before you sign up and before you start the training. You can read the full article first published in The Irish Times in July 2014 online here.